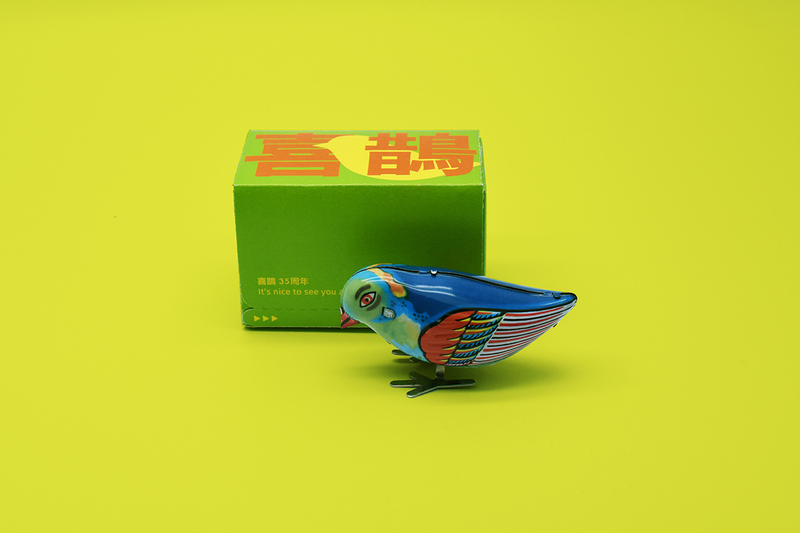 "喜鹊" was a trending toy back in 80-90s China. 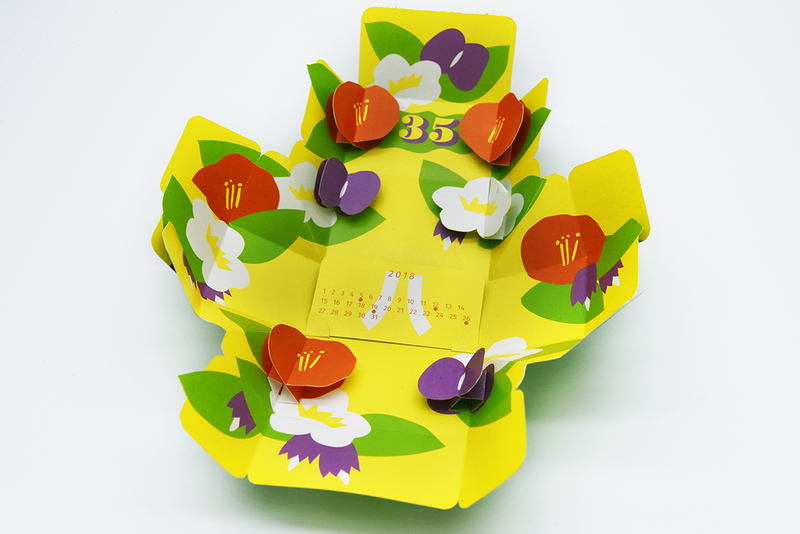 Most of the young generation Chinese share a common nostalgia to this kind of toys as well as the past old days. 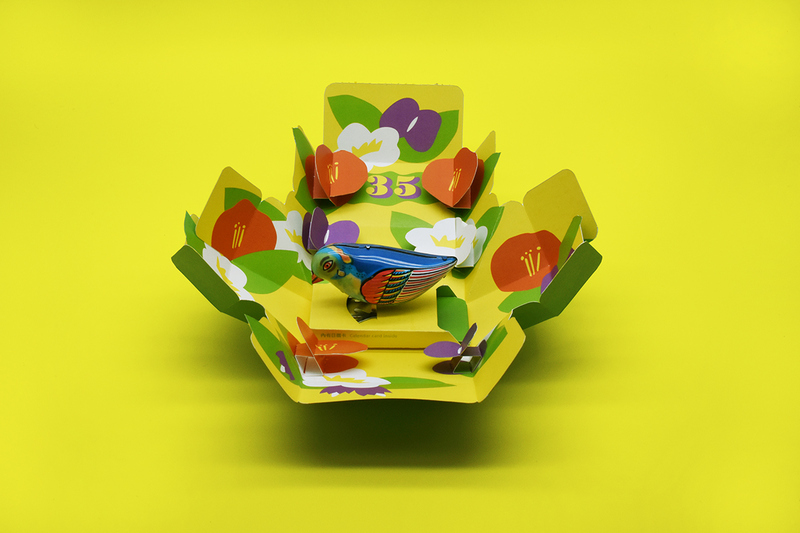 This repackaging project is a celebration of the toy's 35 Anniversary. 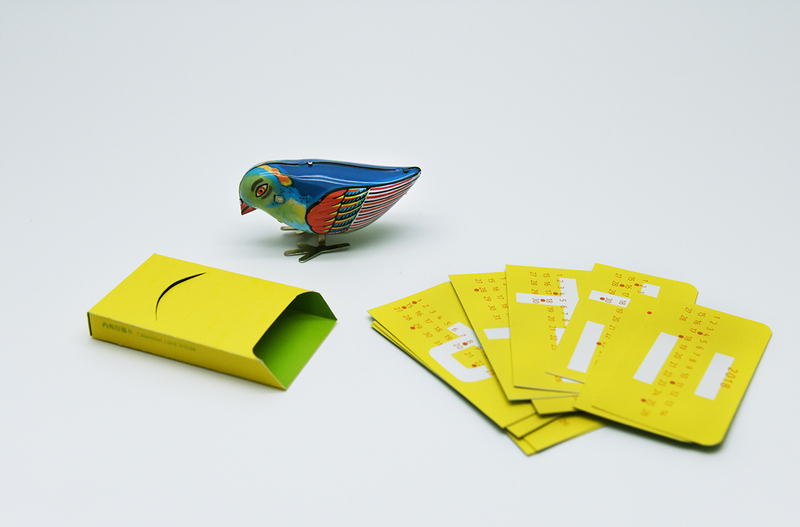 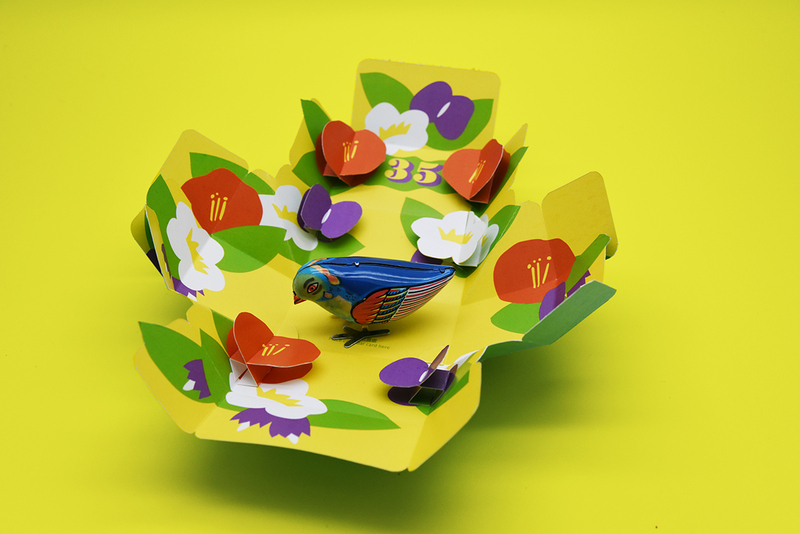 A simple little box opens as a rich and delightful pop-up greeting card. 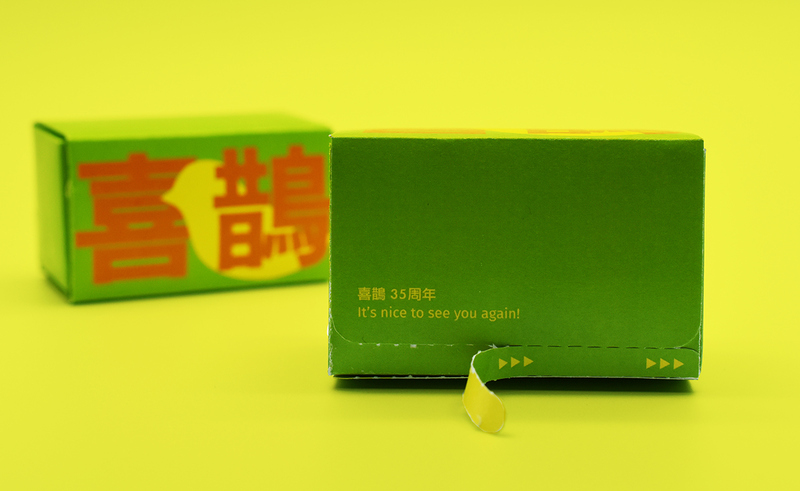 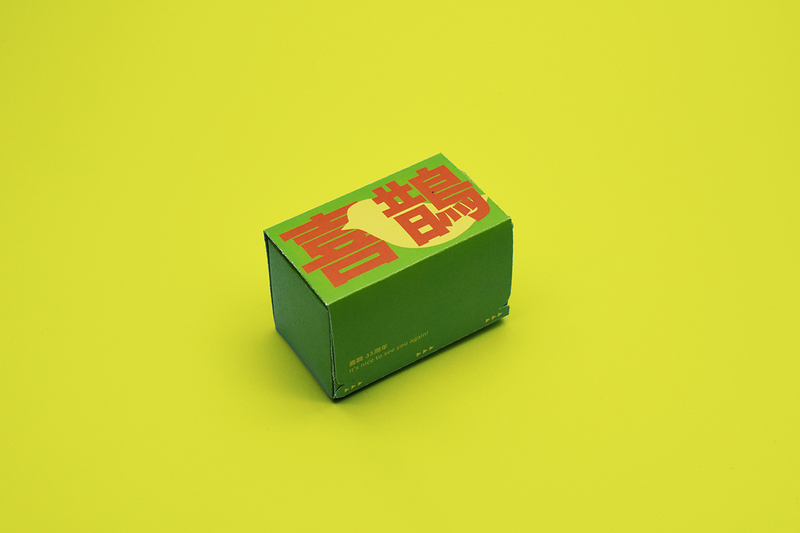 The package itself also works as a wall calendar of 2018—the year of 喜鹊's 35th birthday.